January is a good time for resolutions and cleaning. As we clean up our product offerings, we found some long-retired products that are really hard to repair, calibrate, or offer technical support. Believe it or not, we have technicians who don't remember the DOS days. Below, we have outlined our plans of support for older products. So, if something like this image should happen to you, you will know what services are still available at Campbell Scientific. For our oldest dataloggers, the CR21 and CR5, Campbell Scientific currently does not offer repair, calibration, or technical services. For our BDR300-series, CR500, CR10, and CR9000 dataloggers, we will halt repair, calibration, and technical support services in March 2018. This does not include the CR9000X and its associated modules. Because of environmental test chamber antiquities, repair and calibration services for the CR7 and 21X dataloggers and the SM192 and SM716 data storage modules will conclude at the end of the year. Please ensure that these products get repaired or calibrated before that time. For Edlog dataloggers (CR10X, CR23X, CR510) not listed above, we will offer repair services until 2020 and calibration services until 2025. However, we will discontinue free technical support in 2019 for all Edlog dataloggers. The CR200X-series datalogger will be retired at the end of this month because we now offer the more capable CR300-series dataloggers. 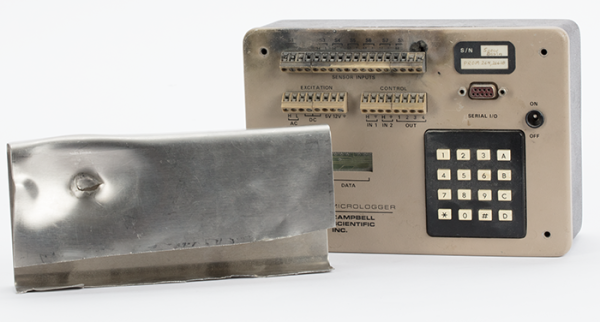 As with most products, we will continue to repair and support the CR200X-series dataloggers for many years. Refer to the Discontinuation of the CR200X-Series Dataloggers notice for information on replacing the CR200X–series dataloggers. Campbell Scientific discontinued the alkaline-base option for the CR3000 Micrologger. If needed, the BPALK 12 V, 7 Ah Alkaline Battery Pack can provide an alkaline power supply for the CR3000 Micrologger. HC2S3 Air Temperature and Relative Humidity Sensor. Repair and calibration services continue to be available for this sensor. Campbell Scientific recommends the EE181 Air Temperature and Relative Humidity Sensor as a replacement. CS625 Soil Water Reflectometer for CR200(X)-series and CR300-series dataloggers. The CS650 and CS655 reflectometers are ideal replacements for the CS625. EasyAg Water Content Probe. A replacement product is currently not available. 019ALU and UT018-5 crossarms. The CM200-series crossarms come in several lengths and are more versatile than the 019ALU and UT018-5 crossarms. SVP100 Surge Voltage Protector DIN-Rail with Mounting Hardware. The components of the SVP100 are now ordered separately to allow you to design a surge voltage protector DIN-rail system that fits your exact needs. 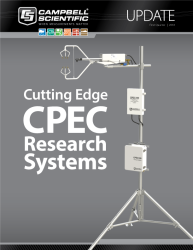 Refer to the DIN-Rail Hardware product brochure for more information.